Every individual is emotionally affected to some degree by a traumatic experience. For patients recovering from an illness, accident, a medical procedure, or any other traumatic experience, it is essential for recovery to address not only their physical needs, but their emotional response to the event as well. These modalities and the overall creative process are utilized to foster health, communication and expression. 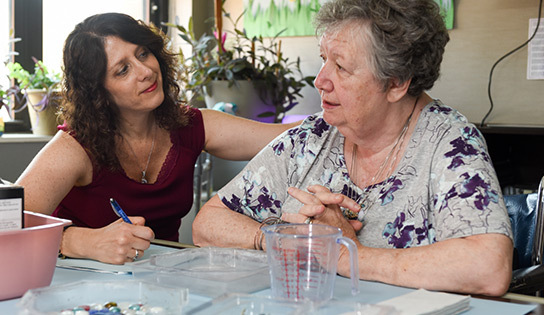 By utilizing these creative arts, we help residents build their self-awareness and maintain their optimal level of emotional, physical, social and cognitive functioning.